Sony revealed its new PS4 Pro console on September 5 during the PlayStation Meeting event in New York. The PS4 Pro (which was previously known as the PS4 Neo) is a new PlayStation console which will be more than twice as powerful as the standard PS4, and capable of delivering better looking games thanks to its extra processing power and support for 4K or ultra-high definition graphics. Sony demonstrated the power of the new machine, which hits the market in November, during the PlayStation event by showing footage from upcoming games like Call of Duty: Infinite Warfare and the highly anticipated action game Horizon: Zero Dawn. And a new gameplay video posted on YouTube shows just how gorgeous Guerrilla Games upcoming video game Horizon: Zero Dawn will look when running on the new PS4 Pro. The gameplay video (which can be viewed at 2160p resolution) showcases the game’s vast landscapes, vibrant colours and fine attention to detail. It also shows how extremely detailed the game’s robot dinosaurs will be, and how good looking the game’s visual effects will be thanks to the PS4 Pro’s more advanced hardware. 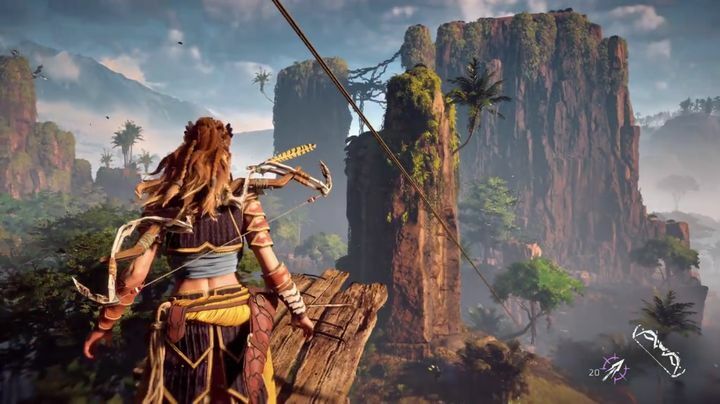 But owners of the standard PS4 need not despair as the game will still look superb at 1080p resolution, as a matter of fact earlier trailers and gameplay videos suggest this will be one of the better looking video games to be released next year, and there’s no doubt that Horizon: Zero Dawn is one game to watch out for when it’s released in early 2017.